Some of the top designers and artists in the UK have taken to cycling in a big way, and the results are very wearable indeed. Fancy a little bit of style? Not content with lending his considerable design talents and cycling passion to clothing kings Rapha, Paul Smith has recently been working with the helmet makers at Giro to create a trio of special edition models. 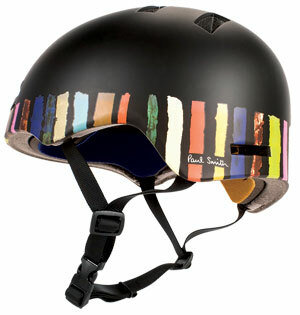 Based on the Giro Section helmet, which is rather uncouthly referred to as a ‘pisspot’ style lid, Smith has come up with three new colourful designs, each costing £60 and available online at www.paulsmith.co.uk. 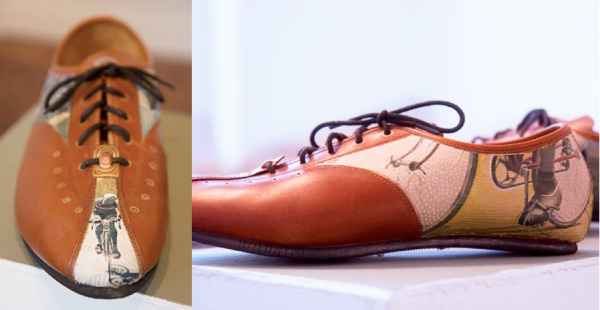 Meanwhile, if that’s not exclusive enough for you, London-based and cycling-obsessed artist James Straffon has recently taken a pair of traditional Quoc Pham Fixed cycling shoes and given them a full bike-inspired decoration. To see how James marries the hitherto incongruous worlds of high-speed pedalling and high art, visit his amazing website: www.james-straffon.co.uk.